Dave Skylark and his producer Aaron Rapaport run the celebrity tabloid show "Skylark Tonight". When they land an interview with a surprise fan, North Korean dictator Kim Jong-un, they are recruited by the CIA to assassinate him. Would you see The Interview? Coolest Movie Poster of 2014? 6 Los Angeles celebrities are stuck in James Franco's house after a series of devastating events just destroyed the city. Inside, the group not only will have to face with the apocalypse, but with themselves. Q: Is "The Interview" the only movie to be cancelled? "That was a gift from Stalin." "In our country, we pronounce that Stallone"
"The Interview" (2014 release; 112 min.) 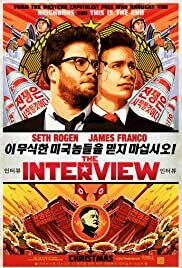 brings the story of how an entertainment reporter Dave Skylark (played by James Franco) and his producer Aaron Rapoport (played by Seth Rogen) get an opportunity to interview Kim Jong-un. the "Supreme Leader" of North Korea. As the movie opens, we see a young girl (maybe 7 or 8) sing a patriotic song for North Korean officials. The song turns hilariously into an anti-America rant. Soon thereafter, we see Skylark interview Eminem (another hilarious scene). When Skylark and Rapoport find out that Jng-un is a big fan of the show, they manage an invite to North Korea. The CIA then pays a visit and convinces the guys that they need to "take out" Jong-un. At this point we're barely 20 min. into the movie but to tell you more would spoil your viewing experience. Couple of comments: at this point as much needs to be said about the events surrounding the limited release of the movie as about the movie itself. Let's start with the movie itself: first and foremost, I had heard and read mixed things about the movie, so when my (grown) kids and I went to see it on Christmas day, I had pretty low expectations. Turns out the movie is actually not nearly as bad as I had been led the believe. Yes, there is stupid "potty" humor and yes, it's all very much over the top. But there are zingers left and right that will have you smile if not laugh out loud. One of the many, many examples: when Jong-un and Skylark are taking a tour of Jong-un's place, at some point they come across a huge tank. Comments Jong-un: "That was a gift to my grandfather by Stalin". Replies Skylark: "in our country, we pronounce that Stallone", ha! And on and on. Randall Park as Kim Jong-un is outstanding. 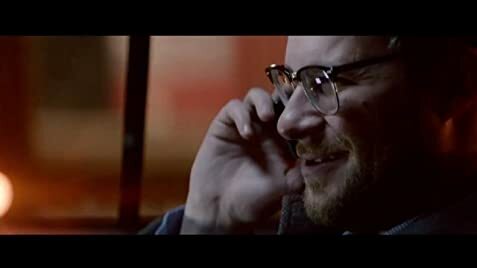 Kudos also to Set Rogen, who also co-rwote and co-directed the movie. As to the limited release, I at first was horrified that Sony gave in to the threats, but felt better when the limited Christmas day release was announced. The movie played on one screen at my local art-house theater here in Cincinnati, and it's a good thin I had bought tickets on-line beforehand, as the matinée screening was sold out (as were all other screenings, apparently). The crowd was really into it, laughing and hollering and whooping it up. When the end titles started rolling, the crowd even gave an applause. 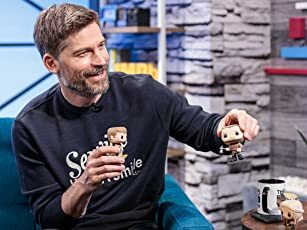 In all, this truly was a "movie event", and all three of us were very happy we were part of it. "The Interview" is HIGHLY RECOMMENDED! 50 of 86 people found this review helpful. Was this review helpful to you?